Keep the award plan simple. Start with one activity or award. Simple award plans are more effective because they are easier to communicate, implement, and execute. Your award plan should be clear enough for everyone in the organization to understand, and it should not require a lot of resources or time to implement. Get ideas from our Sample Employee Recognition Award Titles download to help you get started! Implement the award plan thoroughly, and follow through on all aspects. Now that you’ve created an award plan, implement it. Follow through with every aspect of your award plan from initial communication to follow up after the event. For help, download the Award Presentation Guide. This simple one-page guide will ensure a great award presentation! Celebrate the implementation, and solicit input regarding the award. Once you have presented the award, acknowledge your achievement! Implementing a new award plan is a huge accomplishment. Thank the individuals who made the award possible and take a moment to celebrate. Next, focus on how you can improve your award. Conduct a simple survey of both the entire organization and award recipients to get input for next year’s award. Modify the award plan based on the input you receive. After collecting feedback from the organization about your award, implement the feedback into the award plan. Award plans will change constantly along with your organization, so be prepared for changes to happen on a regular basis and be open to suggestions. 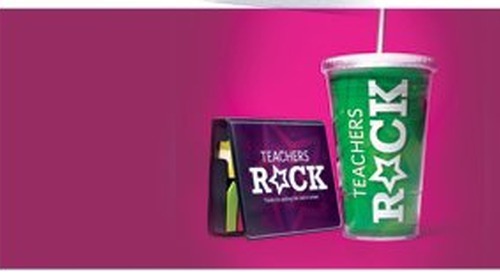 Easy and low-cost teacher appreciation ideas for back to school.